When people think of iconic images from Disney Parks, there are a group that automatically come to mind. Each of the parks has what they call Disney Weenies. Imagineers refer to them by that name. So what are Disney Weenies? They are focal points within the lands of Disney Parks that you can see from a distance and make you want to walk a little bit closer. For Walt Disney World, Cinderella’s Castle just screams out as the magical image that most think of for the Orlando destination. While I have seen Cinderella’s Castle countless times, our most recently trip in December was even more magical. 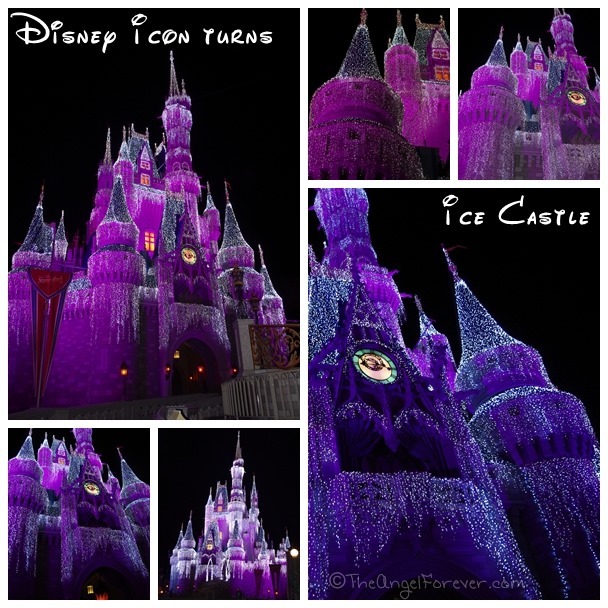 It was the first time I witnessed the ice castle lit up at night. There are no words, simply take in the beauty. Yay! The purple castle is my favorite! Ooh, I love these shots!! I’ve never been to WDW at holiday time, and always love seeing these festive images- the castle looks magnificent. LOVE the Winter wonderland castle! Its so pretty. GReat photos, thanks for sharing! Julie -RunWalkFASTPASSRepeat´s last blog post ..Wordless Wednesday: Disney Weenies – Stormy Clouds and Troopers! Stunning – what a great site, love the ice on the castle. I love going at that time of year just to see the castle transformed. It is magical! 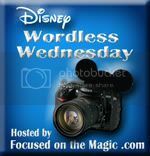 J Stites´s last blog post ..Wordless Wednesday: Disney Weenies!!! Beautiful! Love this version of the castle. I have yet to see this and I can imagine how stunning it must look in person. Those pictures are gorgeous! I had forgotten how beautiful the castle is with the icicles. Got to see this a few years ago! Can’t wait to see it again!! Great collage! Those purple castles are beautiful! I would love, love, love to go to WDW and see all the holiday decorations. I’d love to go during Halloween too!